For GDC 2013, Unwinnable rented a mansion and, over the course of week, nearly two dozen writers, game developers and academics slept there. It was once a beautiful Victorian home overlooking the Panhandle of Golden Gate Park. It is still a lovely house, but it is now decidedly a rental, with a bed lodged in nearly every sitting room and parlor. I arrive, bleary eyed, early in the morning. Brian Taylor is waiting for me out front. I brought bagels and we eat them. We settle in and more people begin to arrive. First Brendan Keogh, fresh off a punishingly long flight from Australia, then Jenn Frank. Some Bay Area locals – Mattie Brice and Taylor Cocke – pop by to check out our digs. Lunch is now on the agenda. We march off to Divisidero to find a suitable eatery (in other words, one that serves alcohol along with its food). With each new arrival, our collective joy increases. This is the one week of the year that we are all together. This week, we are all best friends and the conversations never stop. 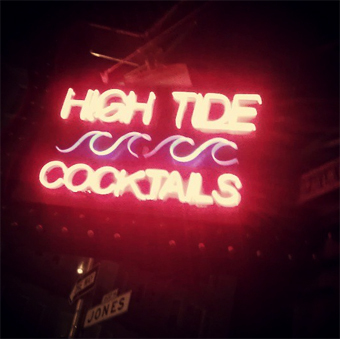 On Monday night, we gather en masse at a dive bar in the Tenderloin called High Tide. This is the second year in a row that we’ve done this. That makes it a tradition. It passes in a blur. For me, the swirl of GDC begins to build on Wednesday when the expo floor opens. My first stop is the IGF pavilion, where all the indie games that have been nominated for the Independent Games Festival Awards later that night are on display and playable. This year there are so many amazing games nominated – Space Team, Lovers in a Dangerous Space Time, Kentucky Route Zero and more – that it is impossible to know where to start. While I am trying to decide, I hear someone call my name. It is Rami Ismael of Vlambeer. I recognize him immediately and he is happy to see me, but I can’t help but be surprised that he recognized me. We don’t stand on ceremony long. Rami is far too excited about the games at the pavilion and offers to show me around, pointing out games and introducing me to the developers. He’s particularly keen on the local multiplayer titles, which have a strong showing this year and we wind up playing a savage match of Samurai Gunn, an engrossing, pixely fighting game. He beheads my little warrior many times. After the battle, we shake hands and Rami moves on. Without my guide, I am once again at a loss. I am dimly aware of someone talking to me, but I don’t hear the words. This is something that happens to me a lot – even when we are together, I am not always with you. I am constantly thinking. Sometimes I am planning, plotting contingencies, organizing. Other times I am looking for connections, trying to make sense of a book or a game or a conversation in the context of a larger whole that I can barely glimpse. Sometimes, I am doing this to the exclusion of what is going on around me. This is particularly troubling for girlfriends, who always seem distressed when they realize that although they are looking at me, I am not always looking back. You’ll figure it out. You’re here, that’s the important thing. I apologize to the kid for being in a daze and give him my business card, telling him that Chuck is right and to look me up if he needs a hand figuring it out. After he leaves, I ask Chuck who he was. A kid, just out of high school. No wonder. But Chuck is right. “You’ll figure it out. You’re here, that’s the important thing.” That’s pretty much the Unwinnable motto. “Phil Fish is going to ask a question,” says Chuck, pointing. Instead of being controversial, however, Fish gushes. He explains that he spent a year of his life playing Riven and that it inspired him to start making games. His first were black and white Myst clones. He then asks Miller if he would sign his copy of the first Myst novel. I remember talking to Richard Hofmeier, the creator of Cart Life, at the High Tide on Monday night. Chris Dahlen had written a wonderful analysis of the game for Unwinnable and he wanted to thank me for having run it. It struck me as an incredibly appreciative gesture. Tonight, Richard wins every IGF Award Cart Life was nominated for. For the first, the Nuovo Award which celebrates new talents, he walks shakily up to the podium, accepts his award and promptly flees after muttering only, “Thank you.” For his second trip to the podium, he manages to also thank his wife. The third time, for the Seamus McNally Grand Prize, he professes to have drunk enough to speak a little longer and proceeds to briefly explain how undeserving he feels. Not once does he look directly at the audience. It is a touching display of humility. Richard’s awards come with cash prizes totaling $38,000. Later, he tells me that he is looking into possibly donating that money to street vendor advocacy groups in either New York City or Chicago. The day after the awards, he takes Cart Life out of the IGF pavilion. It had gotten enough attention, so he crossed out his name with black spray paint and loaded up the laptop with Porpentine’s text adventure Howling Dogs. I don’t see him on the expo floor after that. The older I get, the less meaning the holidays seem to have for me. They give way to dreary, grey January, which gives way February – a month that always weighs heavily on me. My father’s birthday was on Valentine’s Day and the anniversary of his death is two short weeks later. I’ve a long list of other family member and friends who also died during that bleak time of year. In addition to that annual existential weight, this year seemed intent to reinforce my own physical frailty. I was sick, off and on, for more than three weeks. I was in a minor traffic accident that did no damage to my car but plenty of damage to my neck and back. When I was finally recovering from that, I slipped on a patch of ice and banged up my knee. Hobbled and ill, it seemed all I could do was sit around the house and brood. It was impossible not to be depressed. With so little to occupy my time, I turned my dark moods on Unwinnable. This thing I built seemed so shoddy in construction, so thin in execution. It demanded all my attention, all my energy. It devoured my other passions. It was jealous and all consuming. I felt like a slave. I wanted to be free of it. 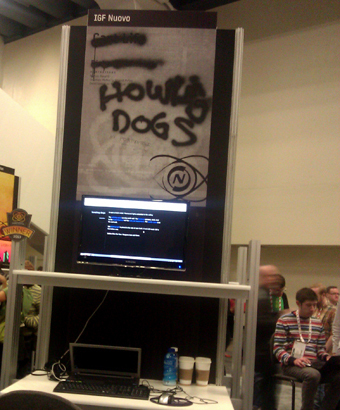 At GDC 2012, everyone seemed to be talking about Unwinnable. It blindsided me to learn that people, stranger even, cared about the site as much as I did. Instead of feeling adored I felt like a trespasser. Surely it would be only a matter of time before people realized how silly they were being. Surely this was a fluke. In February, everything is fleeting. 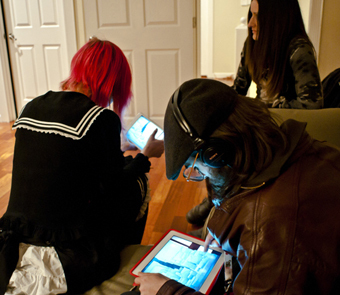 On Friday night, after GDC 2013 had come to an end, I organized a gathering at the mansion we had rented. It was not a party but a salon, in the French sense, where people would be educated as well as entertained. There would be journalists and academics and game developers all under one roof. We would come together for a quiet evening to talk and to play games and to learn from each other. And so we did. On one amazing night at the end of an amazing week, February felt years away. Richard Clark is the first to leave. His flight is late on Friday night so, as the salon wrapped up, he walks off into the night. Chuck is gone by the time I wake up in the morning. Brian Taylor leave Saturday afternoon. One by one, they leave. The house gets quieter and emptier, but not sadder. Those who linger, like Cara Ellison, still laugh and tell stories. Cara’s laugh is like the sunrise. I depart Sunday afternoon, leaving only Jenn Frank and Scott Nichols behind. They will be gone by the end of the day as well. But we’ll all be back next year. If you are going to follow Stu Horvath on Twitter @StuHorvath, the weeks after GDC are the best time to do it. Unwinnable isn’t done with GDC 2013, not by a long shot. Stay tuned in the coming days for scads of stories, galleries and videos from the show and the Unwinnable Salon. SUBJECT LINE: So You’re Our Game’s New Scriptwriter!